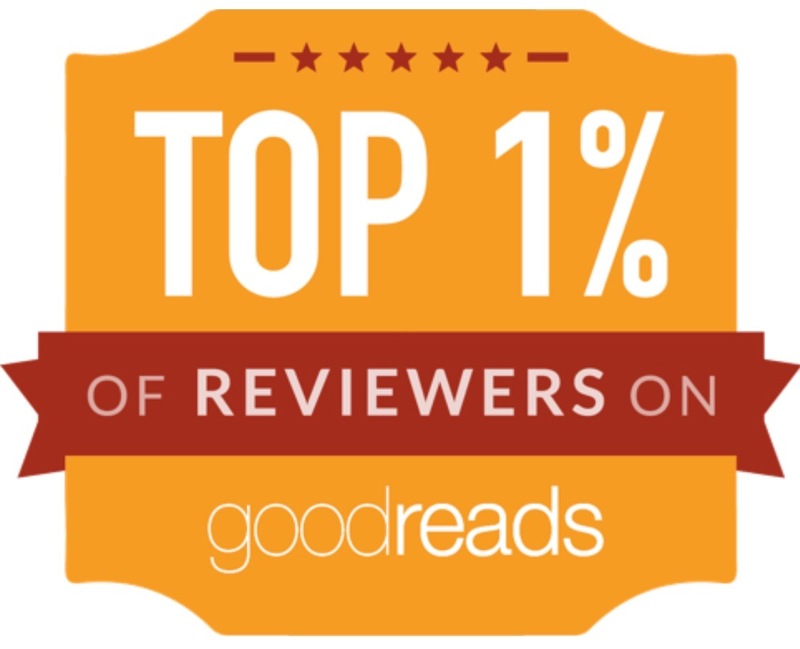 As a total Potterhead I have an ever growing collection of Harry Potter books and other related merchandise. Slap a HP logo on anything and you're pretty much guaranteeing a large number of fans will throw their money at you but we all know some items are worth more than others. The Character Vault is a lovely hardback that is packed full of photos from the movies and fun facts and information about all the main characters. 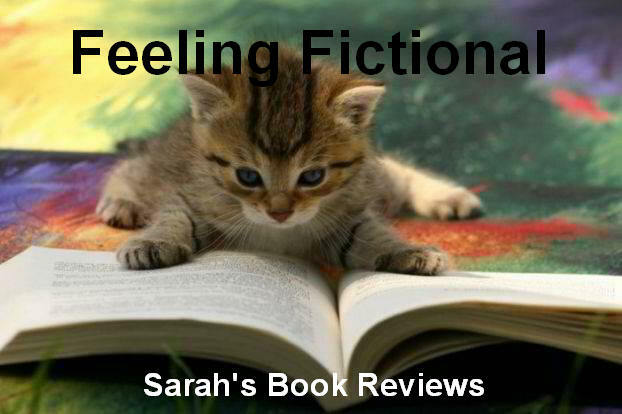 Is the kind of book you can pick up and flick through again and again and will always spot something new on each read. 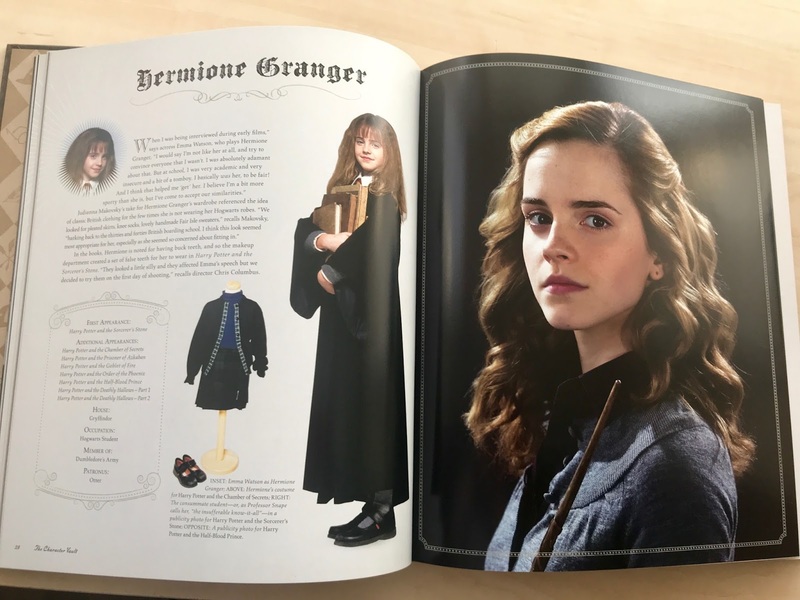 Chapter 1: Hogwarts students - Has multipage spreads for Harry, Ron, Hermione, Neville, Fred & George, Ginny, Draco and Luna. Chapter 2: Hogwarts staff - This is the largest chapter and profiles Dumbledore, Hagrid, Filch, Pomfrey, Hooch, McGonagall, Sprout, Flitwick, Snape, Quirrell, Lockheart, Lupin, Moody, Umbridge, Slughorn and the Hogwarts Ghosts. 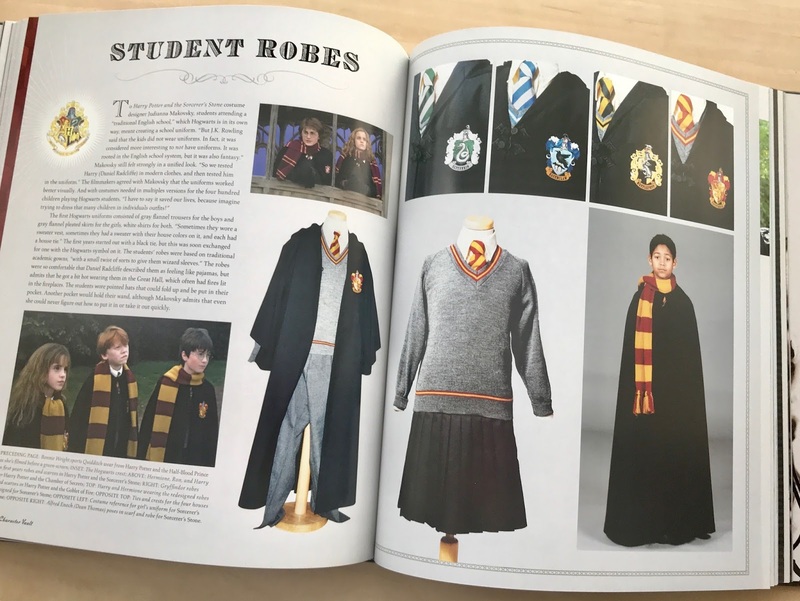 Chapter 3: Student Robes & Quidditch Sportswear - an in depth look at the school uniforms. 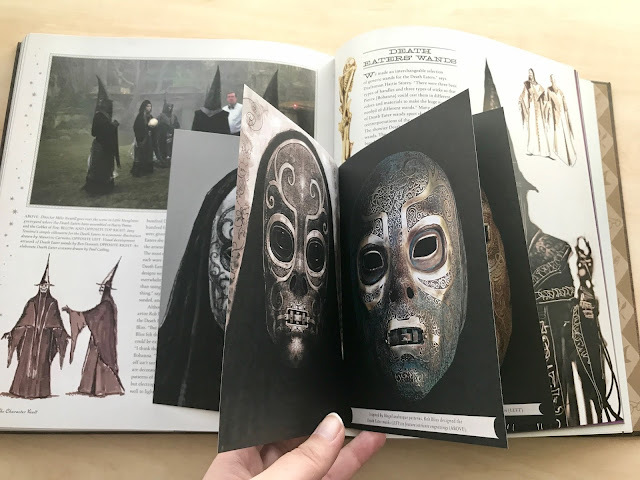 Chapter 4: The Triwizard Tournament - Information about the Hogwarts Champions Harry and Cedrick along with sections on Beauxbatons, Durmstrang and reporter Rita Skeeter. 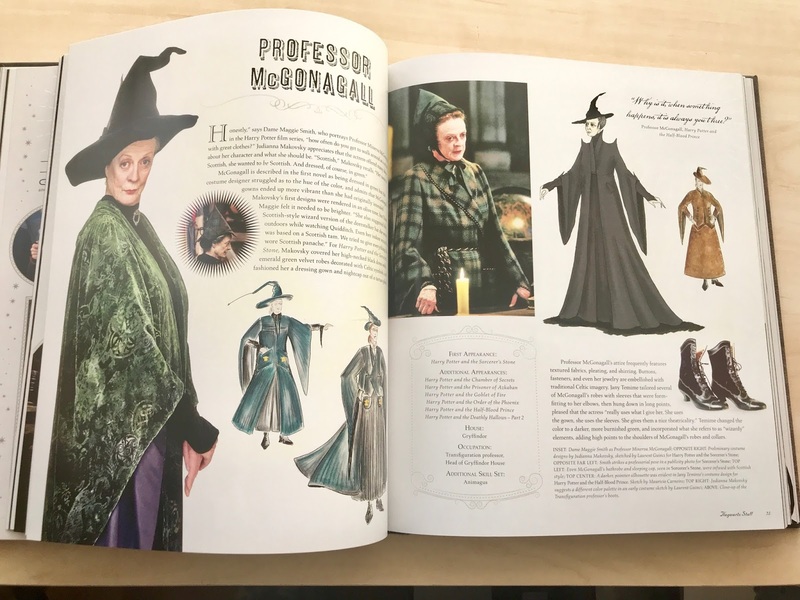 Chapter 5: Celebrations - Looks at costumes created for the Yule Ball and Professor Slughorn's Christmas Party. 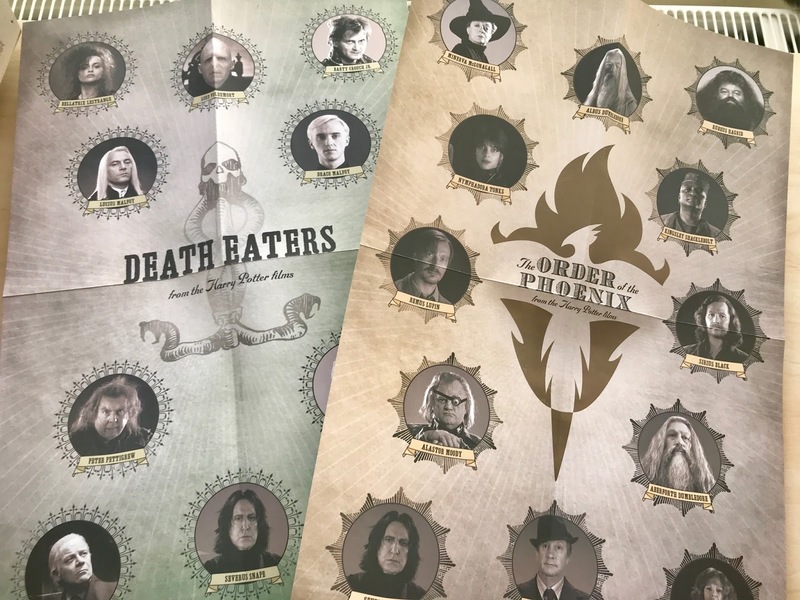 Chapter 6: The Order of the Phoenix - Profiles on the Order of the Phoenix members not mentioned elsewhere - James, Lily, Sirius, Nymphadora and Kingsley. Chapter 7: Dark Forces - Profiles on Voldemort, Peter Pettigrew, Bellatrix and the Death Eaters including a neat little additional booklet with pictures of some of the Death Eater masks. Chapter 8: Ministry of Magic - General information about Ministry uniforms along with profiles of Cornelius Fudge and Rufus Scrimgeour. Chapter 9: Families - Sections on the Dursleys, Xenophilius Lovegood, the Malfoys and the Weasleys. Epilogue: Nineteen Years Later - a quick section about ageing the characters for the final scene as they watch their kids go off to Hogwarts. Also included in an envelope attached at the back of the book is two posters, one featuring characters from the Order of the Phoenix and the other featuring Death Eaters. 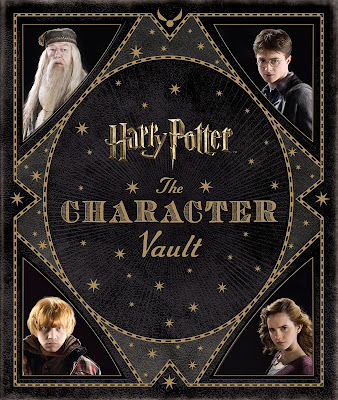 This is a lovely addition to any Potterhead's collection but I'll warn you now, flicking through this book is almost guaranteed to make you want to watch the movies again!